The top sirloin is a delicious, flavorful portion cut from the center of the sirloin. 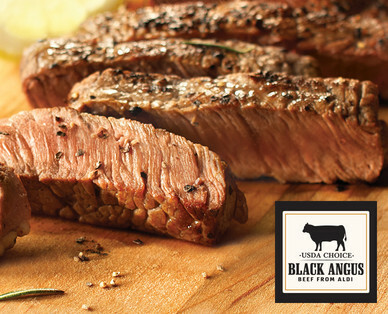 Their bold flavor is sure to satisfy the taste buds of any steak lover! USDA Choice quality indicates a tender, juicy bite. Recommended cooking method: grill or broil.